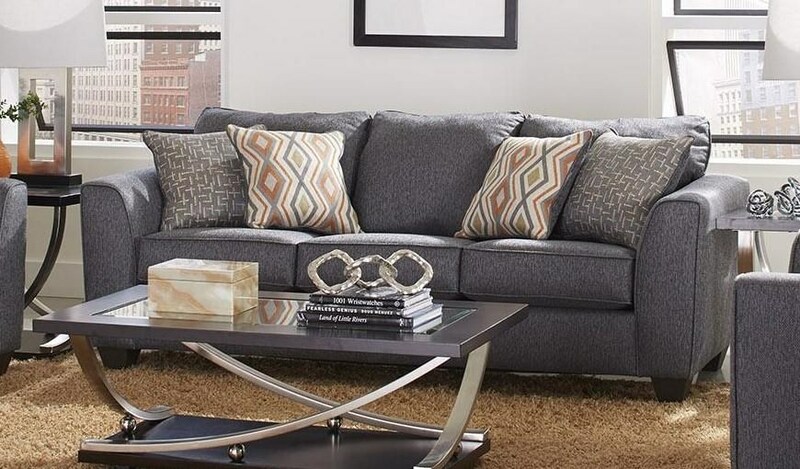 This beautiful sleeper sofa has it all! Clean lines, a durable fabric in Graphite color and a 4 1/2 inch innerspring Queen Size sleeper mattress! The 2256 Queen Sleeper Sofa by Albany at Furniture Fair - North Carolina in the Jacksonville, Greenville, Goldsboro, New Bern, Rocky Mount, Wilmington NC area. Product availability may vary. Contact us for the most current availability on this product. Browse other items in the 2256 collection from Furniture Fair - North Carolina in the Jacksonville, Greenville, Goldsboro, New Bern, Rocky Mount, Wilmington NC area.